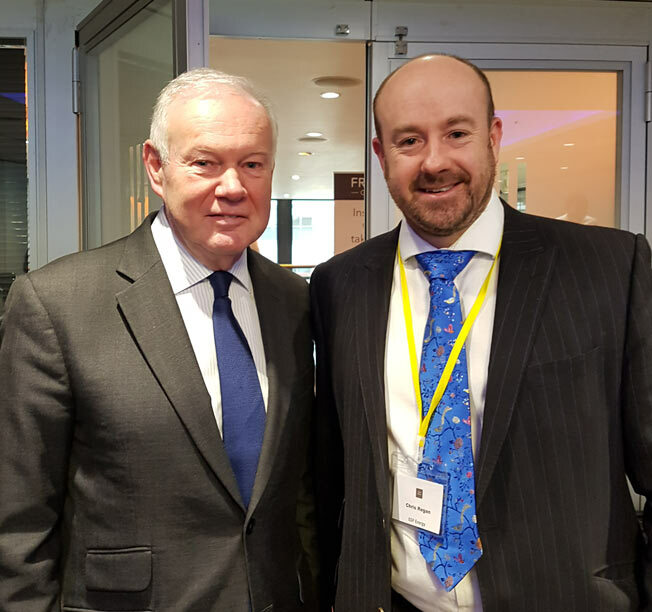 Head of Business Development at EDF Energy, Chris Regan spoke at the Flexible Energy Systems and Storage Forum recently, and he met former Minister of State for Energy and Climate Change Charles Hendry. Here are key highlights from the event on the role of battery in our increasingly decentralised energy landscape. Batteries have been in the spotlight for quite some time now. Prices have come down and forecasts for growth are trending upwards. Current forecasts show that the value of battery will grow as the price of battery reduction falls*. The Policy Exchange think tank estimates a flexible energy system could save the UK in the region of £8bn by 2030. Chris joined over 150 leading energy companies to share views and practical examples on addressing business flexibility needs, developing regulation, facilitating technology commercialisation, financing projects and navigating front and behind the meter battery storage markets. The forum discussed our journey from the policies, processes and technologies of the market of today to the flexible energy system of tomorrow. Analysis suggests the total value of the market for batteries will grow to £120m p.a. by 2022. 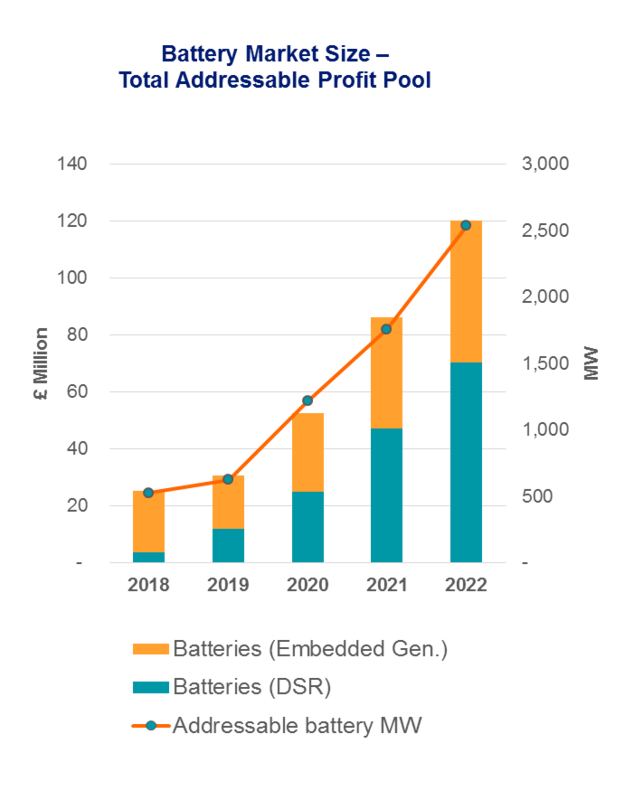 Additionally, a 40% reduction in lithium-ion costs is expected by 2025. Behind the meter batteries have the potential to capture an increasing proportion of the market. These conditions make battery storage an increasingly viable option for organisations who want to flex their energy consumption. From a regs perspective, behind the meter batteries will have more attractive business case in the near term. Market price volatility is expected to increase, which creates more opportunities for wholesale optimisation (shifting and reducing consumption in line with peak/ off-peak times). National Grid is reviewing the ancillary services’ product market with a focus on standardisation and removal of barriers to entry for storage. The flexibility of battery storage can open up valuable revenue streams through schemes like FFR, DSR and Capacity Market, also businesses can trade their energy on the wholesale market. Traders, aggregators and brokers form key parts of the market and there are advantages to each, but the key is access to MWh at the MPAN with market access and trading capabilities, with good decision making and ownership of crucial data. This is where PowerShift comes in, our platform for managing storage flexibility. PowerShift allows users to manage, trade and earn revenues in one place, smoothly and efficiently. There was significant buy in from the room on the need to lock in multiple revenue streams, which aligns with the goal of PowerShift. Chris and team were able to demonstrate PowerShift to Charles Hendry (former Minister of State for Energy at the Department for Energy & Climate Change from May 2010 to September 2012). Chris showed how organisations can deal with revenue uncertainty by diversifying their income streams away from a pure ancillary service strategy. Sign up to Talk Power for regular updates on events, news and blogs.